The travel event, designated as “Shale Gas – Police Opportunities”, did indeed take place between June 2 and June 5, 2014. The budgetary approval for this four day trip was for $12,082.40. Readers will remember that several years of protest against the large-scale development of a shale gas industry in New Brunswick escalated in 2013, resulting in over 100 arrests, a weeks-long blockade of seismic testing equipment, an inter-provincial RCMP raid, and ultimately a temporary, province-wide, moratorium on hydraulic fracturing. The details of the four day, Williamsport, Pennsylvania, meeting between 'J' Division officers - which included Commanding Officer Roger Brown – and their stateside policing counterparts are not included in the information request. What is known, however, through an interview of Roger Brown conducted by New Brunswick-based blogger Charles Leblanc, is that the Federal Bureau of Investigation (FBI) also played some role in these meetings. 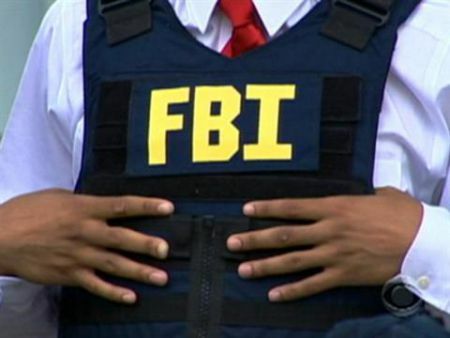 Williamsport, aside from being the county seat of Lycoming County, Pennsylvania (an area with over 800 active natural gas wells), also happens to be home to an FBI office. Brown, in speaking to Leblanc over his reaction to the June 4, 2014, shooting of five New Brunswick RCMP officers by a gunman, initially describes his whereabouts when he received the news that his officers were under attack. The FBI, state police and the RCMP have already streamlined their ability to information share on a variety of issues. Oftentimes, civil liberties groups have complained of this 'too cozy' relationship, as in the case of Canadians' mental health records being uploaded to an international database. The fact that 'best practices' on policing shale gas development are now being shared internationally between these organizations, especially in Pennsylvania, is, however, cause for some degree of unique concern. Pennsylvania has an embarrassing history of collusion between private security firms, industry, state police, Homeland Security Offices, as well as the FBI, in targeting anti-shale gas activists (read: peaceful protesters). Information sharing between private security and police and with industry, along with intimidatory house visits to anti-shale gas activists, are well-documented. Inappropriate abuses of state powers in targeting anti-shale gas protesters have, over the years, resulted in a variety of high-level resignations. Indeed, as Adam Federman initially reported for the Philadelphia City Paper, since late 2011 or early 2012, Pennsylvania shale gas interests have developed the 'Marcellus Shale Operators' Crime Committee' (MSOCC). Self-described as a group of "professionals with a law-enforcement background who are interested in developing working relationships and networking on intelligence issues," the MSOCC draws together the FBI, Homeland Security, state police, private security and industry under one, handy, information-sharing umbrella. Could the New Brunswick RCMP, already under a two-year and counting investigation by the Civilian Review and Complaints Commission for “allegation[s]...of excessive force...improper arrests and detention, interference with freedom of expression and peaceful protest, and interference with Aboriginal Peoples spiritual ceremonies” during their 'policing' of anti-shale gas protests in 2013, now be counted as the MSOCC's first international member? Readers will also remember, especially given the Indigenous-led demographic of New Brunswick's 2013 protests, that a variety of information sharing between industry, the RCMP and the Assembly of First Nations took place. The RCMP also employed a variety of tactics to undermine the strength of the anti-shale gas protests during 2013, the least of which involved several paid informants on site. In this regard, perhaps there is some question as to who was the student and who was the teacher at the June, 2014, Williamsport, meetings.